Between the 1st and 3rd June the Shop Doctor visited a further 6 high street business based in Middlewich, 2 in Crewe and 1 in Nantwich Cheshire to identify solutions to help reinvigorate trading vitality. In addition to the in store advice received from the Shop Doctor during each of the surgery visits each business will receive a written prescriptions report summarising observations made during the visit and recommendations as to how cost effective improvements might be enabled. 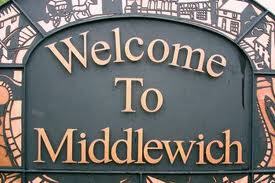 This latest programme of support activity is funded by Middlewich Town Council and Cheshire East Council.